The closing date for entries to the Northern eCommerce Awards, in association with UKFast, has been extended to Friday, July 14th. 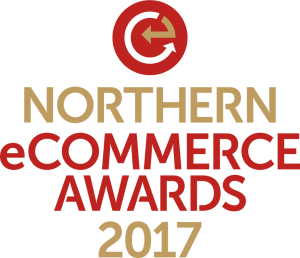 Delivered by Don’t Panic Events and Prolific North, the NECAs will once again celebrate the very best in ecommerce from across the North. Last year's hugely successful inaugural event attracted over 300 people - and we have already received dozens of entries for this year. The 2017 NECAs will take place on Wednesday October 11th at a new venue, Manchester Cathedral. And entries are now open across 23 categories celebrating exceptional websites, platforms, suppliers, in house teams and agencies. Manchester-based hosting company UKFast returns as headline sponsor. We have once again brought together an esteemed panel of industry leaders and experts to help us ensure the whole process is managed and ultimately decided upon with the greatest possible degree of digital expertise and professionalism. The judging is a rigorous two-stage process including pre-scoring to determine shortlists and a judging meeting where entries are discussed and evaluated in detail to decide the winning entries.